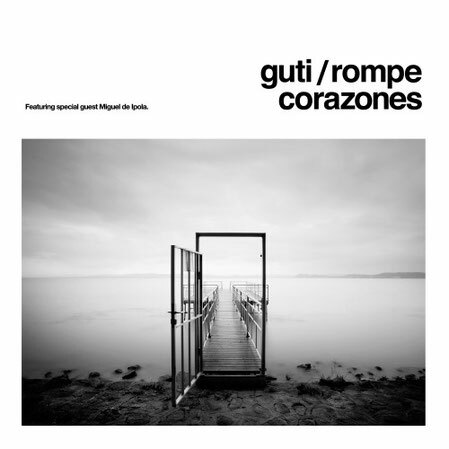 Incorporating elements from an array of musical styles – including jazz, electronica, ambient and blues – Guti’s ‘Rompecorazones’ is widely sourced and intricately crafted; a big release from a musician who aims to stand out from the crowd. Perhaps best known for his take on house and techno via his productions and live show, Guti’s musical scope is far wider. He studied jazz under various teachers including internationally-renowned pianist Ernesto Jodos and founded his own band – Jovenes Pordioseros – with whom he regularly played to crowds of 10,000 in his native Argentina. The origins of ‘Rompecorazones’ are rooted in Guti’s relocation to Europe five years ago. As a live act in the dance music scene, Guti has already travelled the world countless times over and these myriad experiences have had a profound effect on him.